Gillian O'Sullivan has been appointed a director in BearingPoint, the management and technology consultancy firm which employs 225 people in Dublin. She leads the company’s technology consulting division delivering IT and integration projects. Since joining BearingPoint in 2004, Gillian has advised clients across the public and private sectors. 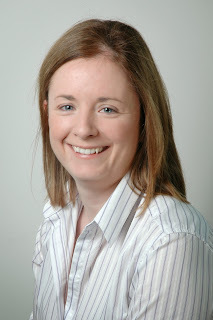 She has responsibility for technical delivery including project management and quality assurance. Gillian holds a degree in Management Science & Information Systems from Trinity College Dublin. BearingPoint consultants understand that the world of business changes constantly and that the resulting complexities demand intelligent and adaptive solutions. Our clients, whether in commercial or financial industries or in government, experience real results when they work with us. We combine industry, operational and technology skills with relevant proprietary and other assets in order to tailor solutions for each client’s individual challenges. This adaptive approach is at the heart of our culture and has led to long-standing relationships with many of the world’s leading companies and organizations. Our 3,350 people, together with our global consulting network serve clients in more than 70 countries and engage with them for measurable results and long-lasting success.